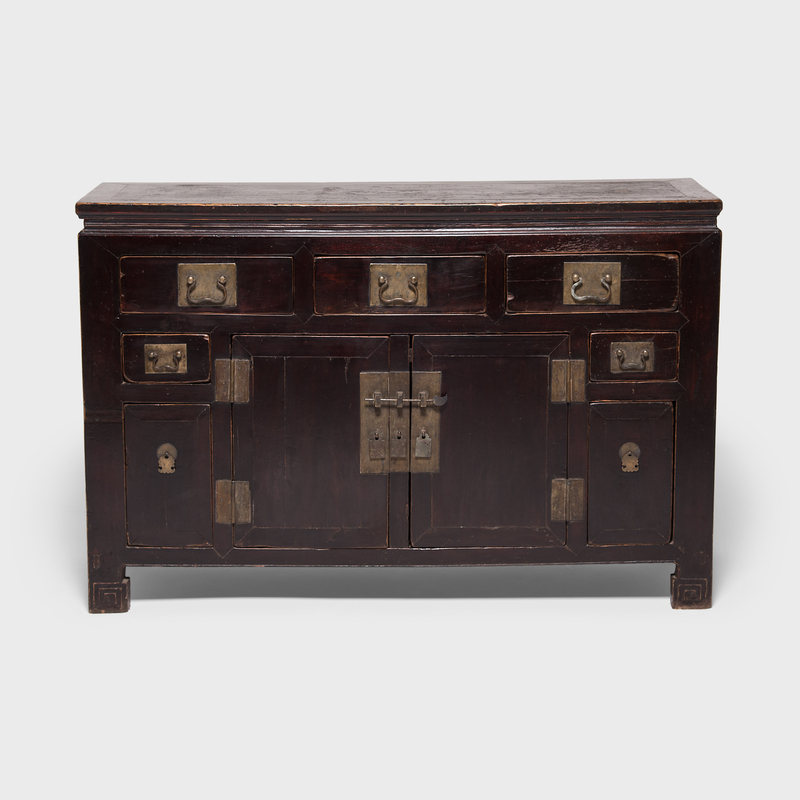 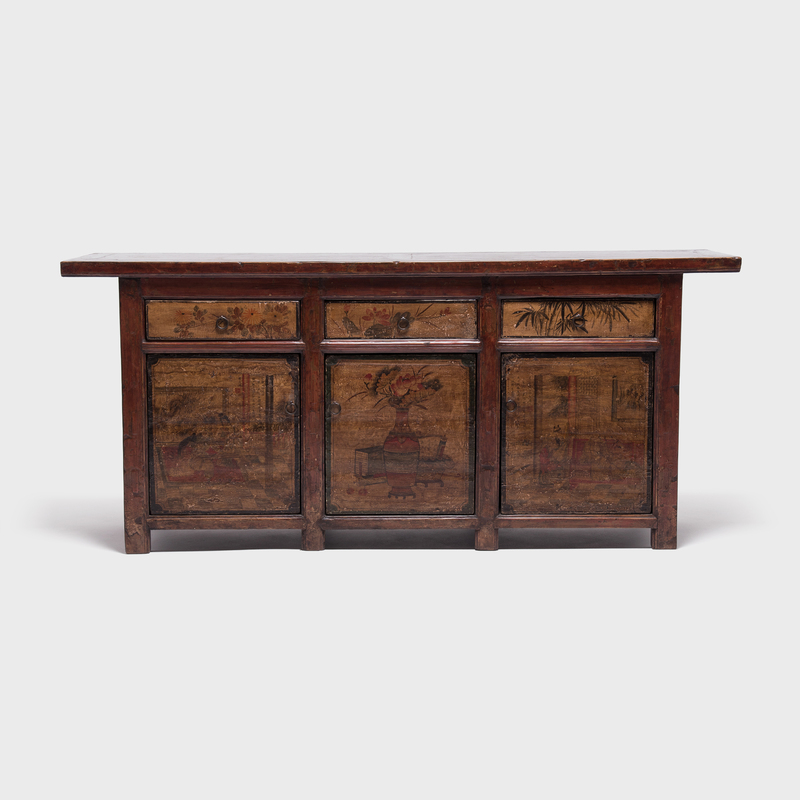 W: 102.5" D: 19.25" H: 35.5"
This stately coffer, sized to provide an ample amount of storage, was likely the centerpiece of a well-appointed home in the Shanxi province. 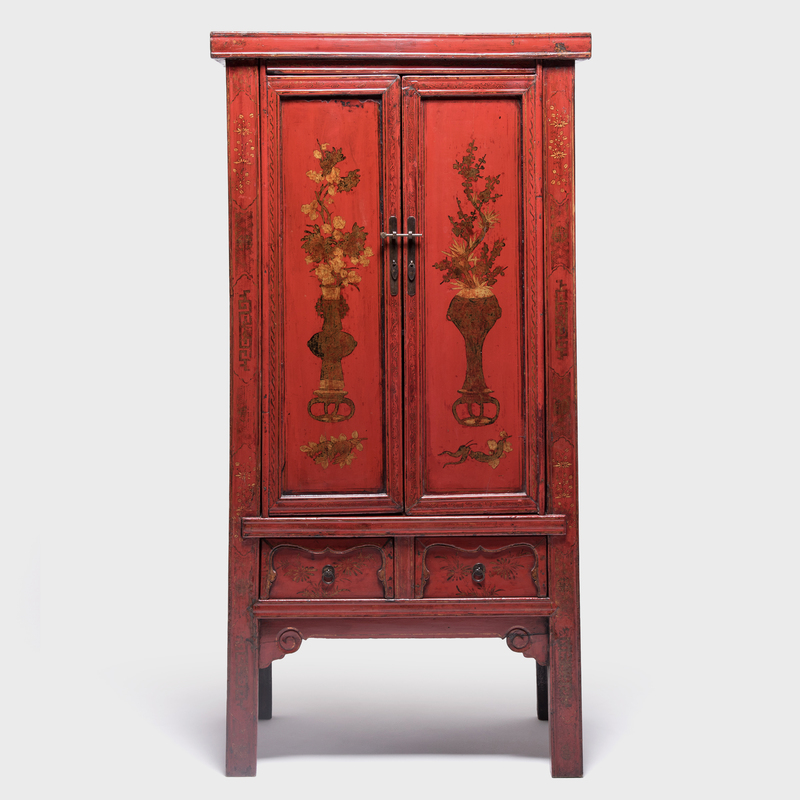 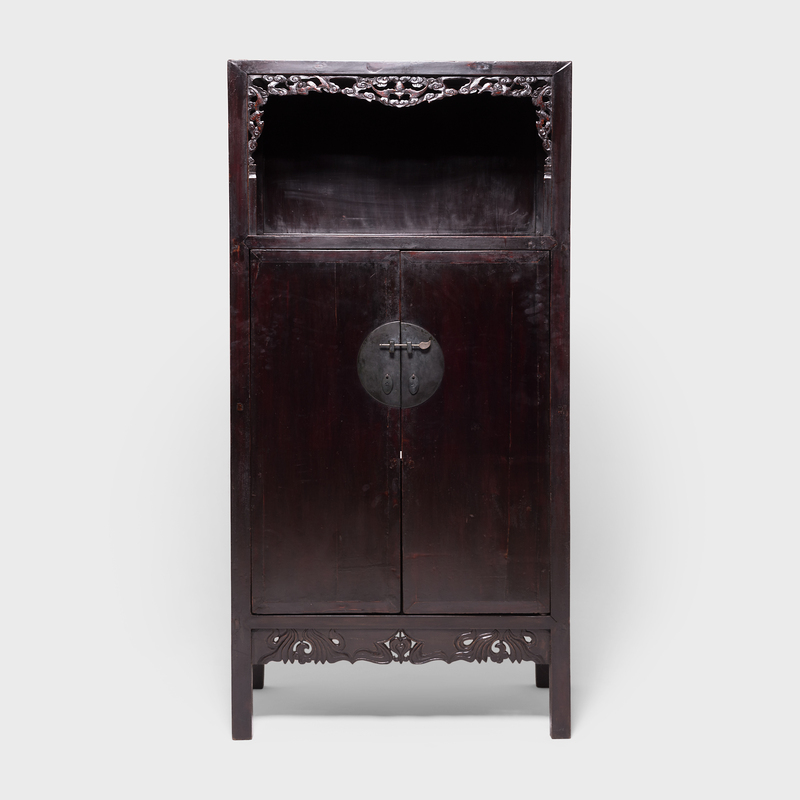 A lustrous wax finish enhances the naturally open grain of this Qing-dynasty walnut cabinet, drawing out its rich, warm tones. 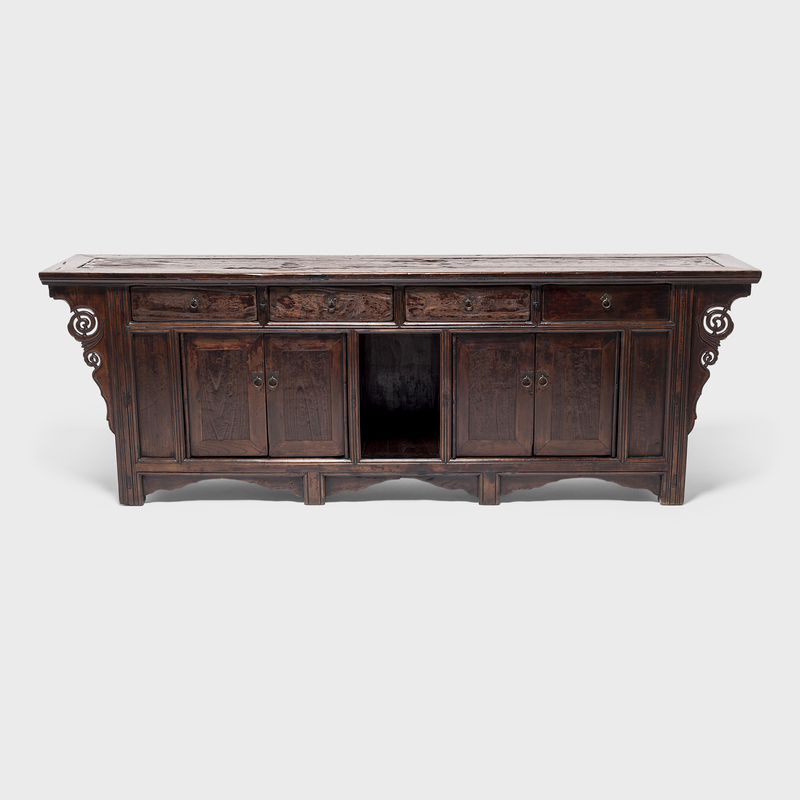 Expertly crafted, the top row of drawers and hidden hinged doors provide an unbroken sweep of rectangular lines, while the cascade of flange carvings add eye-catching curves.